As a parish council, most of your councillors represent the parish of Ivinghoe on a number of local and national bodies. The Forum is run by Buckinhamshire County Council (BCC) and meets approx three times per year. The Forum is chaired by the local BCC ward councillor and is attended by representatives of all the local parish councils. Our specific Local Area Forum covers an area including, Wing, Stewkley, Great Brickhill, and Ivinghoe and all the villages in-between. Topics for discusion are similar to those covered within our own parish meetings, excluding planning. There are a number of speakers from outside agencies. Currently the Local Area Forum is funding the Ben Hamilton Baillie Project in Ivinghoe looking at ways we can work with the ever increasing traffic population. Covers a multitude of transport related issues, from highways, footpaths, etc to speeding, weight restrictions, buses and any other transport related topic within Buckinghamshire. TfB is the Highways arm of Buckinghamshire County Council and your parish council meet with them on a regular basis to ensure that the issues and views of parishioners are heard. With The National Trust (NT) owning a large part of the land in the parish, it is right that the parish council should be represented on the local NT committee. The meetings are held regularly and the parish council attends to ensure that the views of parishioners are heard. 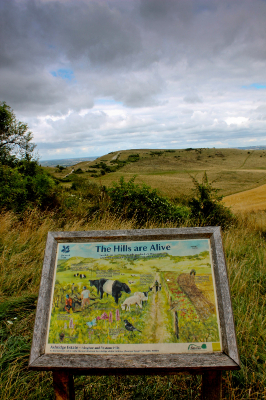 Their vision, shared by the thousands of members of their registered charity, is to maintain the uniqueness of the Chilterns in the face of growing pressures on this part of the country. Almost exactly half of this area forms the unspoilt Chilterns Area of Outstanding Natural Beauty (AONB), the AONB closest to London and the easiest to visit or commute to from the capital. Much of the remainder is protected by Green Belt status. Meetings are held regularly and the parish council attends to ensure that the views of parishioners are heard. Your local facilities, either administered by, part funded by, or simply requiring general input. Council members regularly attend normal committee meetings and or AGM's of these bodies. Their mission is to help local charities, community groups and volunteers to thrive. This means helping them to get started, supporting them to find the funds and volunteers crucial to making their work happen and by giving them all the tools and resources they need to be the best they can possibly be. This is a 2-way relationship with each giving an input to each other and as such the parish council are in regular contact. Overall the network comprises around 150 Local Authorities and over 100 non Local Authority service providers in both the public and private sector. Ensuring that the additional cost of provision of many services across the countryside is reflected in funding formulae is an important issue for the Network. We represent that case to government and other policy makers. We facilitate the All Party Parliamentary Group on Rural Services involving over 60 Parliamentarians. The Network is unique in Europe. It fosters constructive debate on all English rural service issues, encouraging best practice and active engagement by all with rural issues.